President Donald Trump's top personal attorney Rudy Giuliani said he can't rule out the possibility of the president taking the Fifth Amendment if he testifies in the Russia investigation. 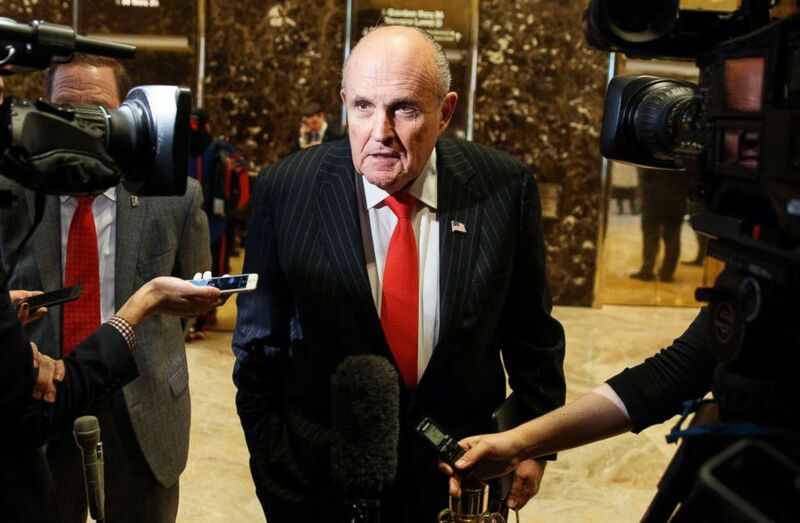 In an exclusive interview on "This Week" Sunday, Giuliani said to ABC News Chief Anchor George Stephanopoulos, "How could I be confident" that the president won't take the Fifth Amendment? The former New York City mayor also commented on the possibility of Trump getting subpoenaed by the special counsel to testify. "We don't have to" comply with a subpoena, he said. 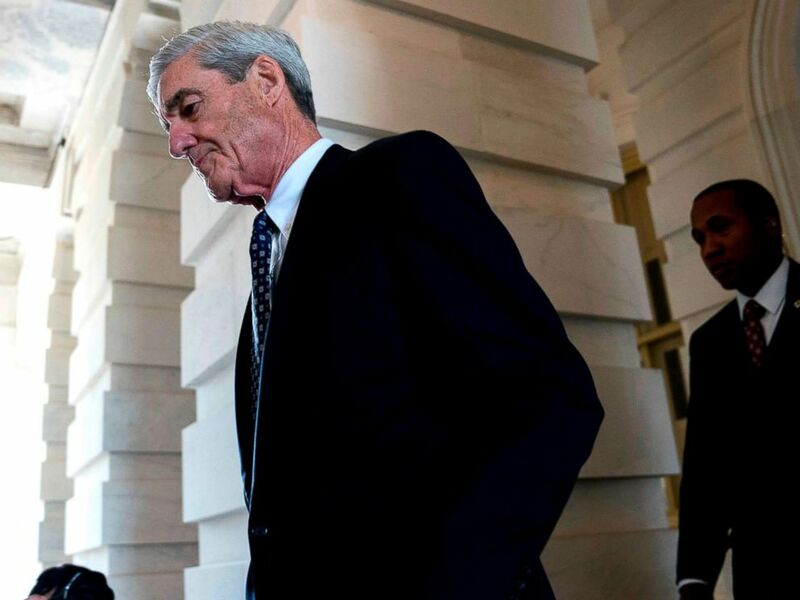 "They don't have a case on collusion, they don't have obstruction ... I'm going to walk him into a prosecution for perjury, like Martha Stewart did?" Giuliani said. "He's the president of the United States. We can assert privilege other presidents [have]." PHOTO:Former FBI Director Robert Mueller, the special counsel probing Russian interference in the 2016 election, departs Capitol Hill, June 21, 2017, following a closed door meeting in Washington. President Trump said on Friday he would "love to speak" to Mueller but would only do it on the condition he is "treated fairly." Giuliani said, "I have a client who wants to testify ... So he may testify and we may actually work things out with Bob Mueller." But the president's lawyer also suggested he is cautious about having Trump sit down with Mueller. "Not after the way they've acted," Giuliani said of the special counsel's team. "I came into this case with a desire to [have the president talk to Mueller] and they just keep convincing me not to do it." 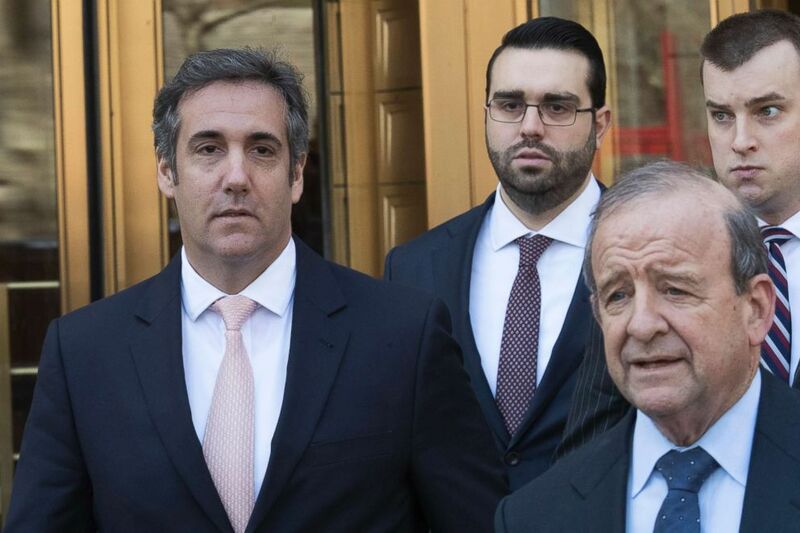 Michael Cohen, left, President Donald Trump's personal attorney, leaves federal court in New York, April 26, 2018. Giuliani went on to suggest that the special counsel's team leaked to The New York Times questions that Mueller wants to ask Trump. "Let me just stop you right there," Stephanopoulos said, noting that the questions were written by a Trump lawyer after a meeting with Mueller and his team. "It wasn’t something leaked by Mueller," Stephanopoulos said. Giuliani responded, "It wasn’t something leaked by us, I know that." But, he added that it's possible the questions were given to the Times by someone formerly associated with the president. "Could it have been somebody formerly on our side? Could it have been somebody formerly on theirs? I don’t know," Giuliani said. Did Rudy Giuliani prompt new legal headaches for Trump? Giuliani also told Stephanopoulos on "This Week" that he expects Trump's former, longtime personal lawyer, Michael Cohen, to cooperate with the Mueller investigation. But Giuliani suggested he has no concerns about anything Cohen could say. "Michael Cohen doesn’t have any incriminating evidence on the president or himself," Giuliani said. "He's an honest, honorable lawyer." Giuliani, who joined Trump's legal team about two weeks ago, got off to what seemed like a rocky start with the president. The longtime Trump ally made waves when he told Fox's Sean Hannity in an interview Wednesday night that "[Trump] fired [former FBI Director James] Comey because Comey would not, among to other things, say that he wasn't a target of the investigation." Former New York City Mayor Rudy Giuliani talks with reporters in the lobby of Trump Tower in New York, Jan. 12, 2017. Giuliani has become the face of President Donald Trump's aggressive new legal team. "He's entitled to that... So he fired him. And then he said, 'I'm free of (these) guys,'" Giuliani said to Hannity. Trump appeared to push back on Giuliani's statement Friday, telling reporters "Rudy is great guy but he just started a day ago." "He’s working hard learning the subject matter...he’ll get his facts straight, he’s a great guy," Trump said. President Trump said Friday that he fired Comey because of reasons laid out in Deputy Attorney General Rod Rosenstein's memo which was critical of Comey's handling of the investigation into former Secretary of State Hillary Clinton's private email server. Mueller has expressed interest in asking the president about the circumstances surrounding Comey's firing.